These resources are intended to help residents and students understand the basic steps and principles of conducting practice-based research projects. Pharmacists who want to conduct practice-based projects can also benefit from the information presented. These presentations start with generating the project topic and proceed through planning, design, funding and sharing project results. Knowing how to manage complex projects from start to finish is critical whether you pursue a clinical, managerial, or academic career track. By sharing the results of your project with the health care community, you can contribute important information that helps advance pharmacy practice. Understand the limitations of your project and recognize how it does or does not compare with the "ideal" research project. Actively develop your project management skills to ensure that the project is as sound and effective as possible. 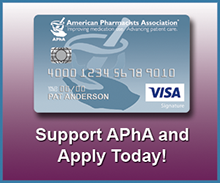 These presentations are available to APhA members only. You will need to login to access the slides and recordings. Perhaps the hardest step in your project is figuring out where to start. Once you've determined your focus and worked up a timeline, however, you have a roadmap to help you move forward productively. This presentation gives you concrete suggestions for identifying valuable project ideas. This presentation explains the three categories most residency projects fall into, discusses important aspects of research studies and walks you through the process of creating a project plan. Determining your project's needs and identifying resources to meet thouse needs are critical for success. This presentation will discuss ways to obtain monetary resources for your project or research. It reviews common and no-so-common sources of grant funding as well as tiops for soliciting funds. One of the most gratifying things you can do is to completing a project that leads to improved patient care or documents the professional role of the pharmacist. With careful preparation, contingency plans, and a good attitude, problems can often be avoided or overcome. This presentation discusses how to avoid pitfalls and minimize problems as you implement your project, allowing you to complete it on time and create a product you are proud of. You selected the right project. You struggled with the design, data collection, and analysis. You are poised to write your abstract and present the project to colleagues at an upcoming professional meeting. Isn't that enough? Actually, no. Focusing on project evaluation before you write your abstract and project report is time well spent. This presentation will focus on reviewing your project's impact, communicating the "so what?" of your project effectively and exploring next steps. Making presentations about your project and seeking to publish your findings help you practice essential skills. These activities also get the word out to colleagues about new information, procedures, and evidence, and they give you the opportunity to network with other professionals and receive feedback. APhA would like to thank Cortney M. Mospan, PharmD, BCACP, BCGP, Assistant Professor of Pharmacy, Wingate University School of Pharmacy, for the development and presentation of these valuable tools.